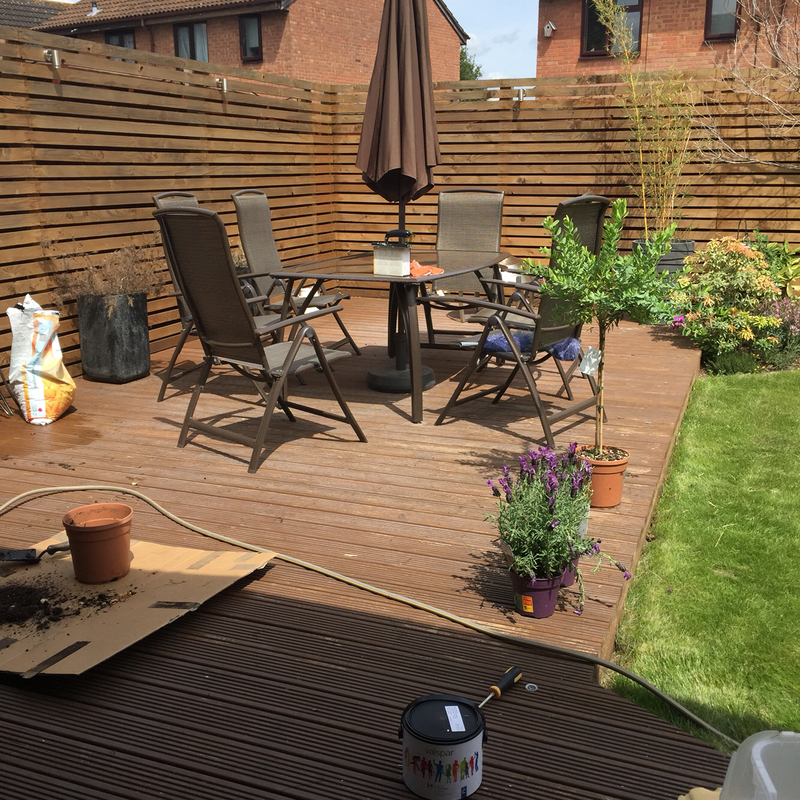 Re-potting some Lavender and sprucing up the pots, also a new outdoor dining area! The Little Garden That Could Also have some little lights built into the decking. Lighting upwards.